India will be celebrating its 70th Republic Day tomorrow. New Delhi: India will be celebrating its 70th Republic Day on 26th January, i.e. on Saturday. On this day people gather to watch the Republic Day parade at Rajpath. The preparations for the Republic Day are in full swing as dress rehearsals are being carried out every day. For the one who doesn’t know that on this day 26 January 1950 the Constitution of India came into effect. Dr B R Ambedkar who was the first law minister of the country had drafted the Constitution. In fact, India has the longest written constitution in the world. On January 26, 1930, Indian National Congress (INC) had proclaimed the Declaration of Indian Independence (Purna Swaraj) which is why this day was chosen as the Republic Day. So as one day is left for the Republic Day, let us see how many of you are able to answer these questions. 1. Who will be the chief guest during the Republic Day 2019 celebrations at New Delhi? 2. This year (2019) who will raise the flag during national level Republic Day function in New Delhi? 3. Which ceremony marks the end of the Republic Day celebrations in New Delhi? 4. The Constitution Day or Samvidhan Diwas is celebrated on which date? 5. ‘Vande Mataram’ was first sung during which session of Indian National Congress? 6. Who is considered as the main architect of the Constitution of India? 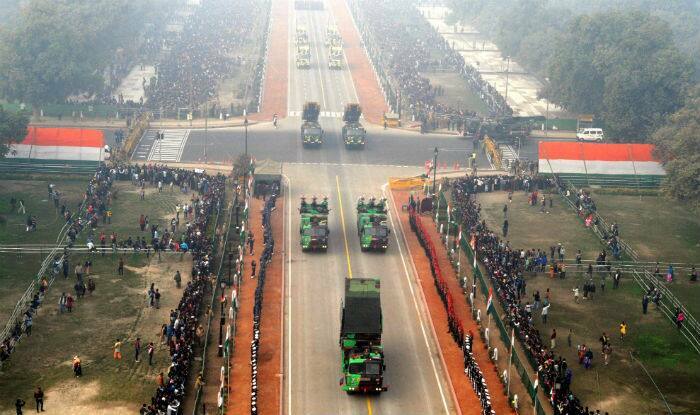 7. Who presides over the Republic Day parade? 8. Who was the chief guest of India’s first Republic Day Parade? 10. According to the States Reorganization Act 1956, how many states and union territories (UTS) were created? A grand parade involving all the three wings of the armed forces march will be conducted. Tribal and folk groups representing different Indian states also take part in the parade. Answers: (10) 14 states and 6 union territories, (9). 2 years 11 months and 18 days and the makers had gone through 60 countries constitutions, and the Draft Constitution was considered for 114 days, (8). Indonesia president Sukarno, (7) President Ram Nath Kovind, (6) Dr Bhimrao Ambedkar, (5) Dr Ravindranath Tagore sung Vande Mataram in 1896 session of Indian National Congress, (4) 26th November, (3) Beating Retreat ceremony officially marks end of Republic Day, (2) President Ram Nath Kovind, (1) President of South Africa Cyril Ramaphosa.